Harvard Graduate School of Design, 9780935617290, 256pp. Assembled in honor of Eduard F. Sekler, Professor Emeritus of the History of Architecture at Harvard University's Graduate School of Design, Form, Modernism, and History is a fitting tribute to a man who as architect, historian, and preservationist has been instrumental in restoring history to a prominent place in contemporary architectural theory and practice. 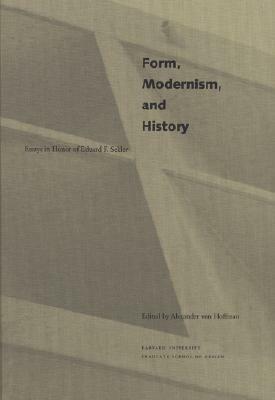 In twenty-two probing and original essays, distinguished scholars and designers--including architects Henry Cobb and Rafael Moneo--combine the insights of history, theory, and practice in order to reveal the evolution of design thought and methods and to interpret the relationship of architecture to its social, cultural, and political contexts.